If you are anything like me, you are a broke college kid on a serious budget in every department. I don't have a ton of money to spend on books, and how some people can buy so many new releases is beyond me. I have trouble spending money at most of the places I do shop at. Seeing any amount of money being taken out of my account breaks my heart. 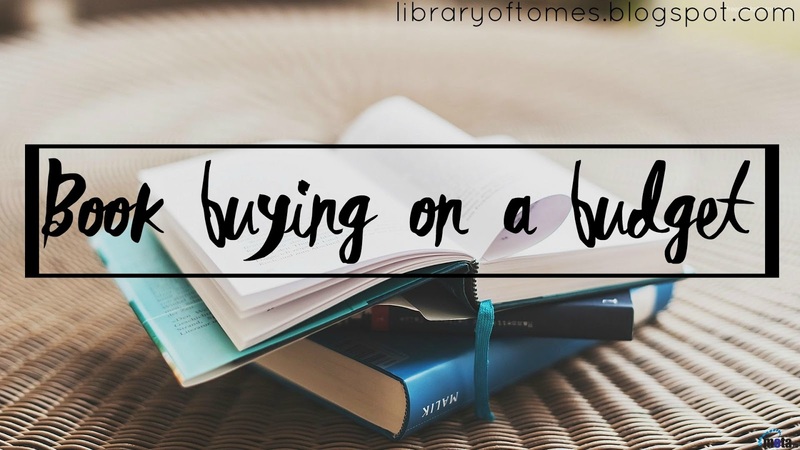 As the kind person I am, I will be sharing with you some of my favorite places to buy books for fairly cheap. 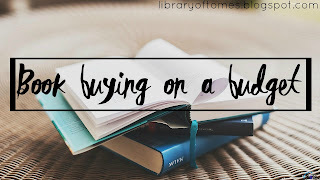 I also want to add that this post is strictly for book buying on a budget. I know there are other ways to read books for free through the library and other readers. Please keep that in mind while reading. *sighs* one of my favorite websites in the entire world. This website is probably my guiltiest pleasure because so much of my money has been spent on this one site. Overall, I love the quality of these books. The only time I have ever had damage done to my books when they were not a scratch and dent copy has been if they were damaged when being shipped to me, which is what happened to my copy of The Coldest Girl in Coldtown. I dislike how the shipping works on the site, but other than that, you can't really complain when getting a popular hardcover for $3.99. This is a shopping site that I highly recommend! I used this website to purchase some of my Harry Potter books, and if you are interested in making fun of baby me I will have you know that I did an unboxing of getting 3/7 books in the series from this site. The only problems I've ever had with the site is that one of my books arrived without a dust jacket, but really it was my fault for not paying close enough attention to what I was ordering. Cheap books can be found on Amazon because of how discounted their books tend to be and also because of Amazon Marketplace. I have bought books for as cheap as $4 each. I know that there is some negative stigma around buying from amazon, but I think if you are on a budget and want to support authors, then this is the best way to do both. *coughs* *clears throat* *announces through megaphone* "My favorite store ever!" I'm actually in love with Half Price Books, and I really am not ashamed in the slightest bit. I know that I say it all the time, but this store is my literal addiction. So many of my books have came from this store, and I just recently discovered it. I bought my signed copy of The Raven Boys at this store, and I believe that is part of the reason I have such an attachment to it. I also love that I can sell the books that I no longer want back and get cash for them. I will say that these are second hand books, but you can find a ton of great condition books in the store if that is something that matters to you. I've found basically brand new books in my local store, and no one in my area reads or thinks that taking care of books should be a priority. One of my personal favorite discount selections is from Books-A-Million. I have always adored the store because of how large their discount selection was! I have bought so many of my books from the discount selection of BAM, like Ugly Love and Confess by Colleen Hoover. I also have found some really amazing books at my local independent bookstore's discount selection. I've bought a ton of books from it as well, but one of my favorites was A Dairy of a Haunting. It was something that I wouldn't normally go for, but I ended up really liking. This is kind of like what I was talking about with half-price, only with second hand shops I mean places like Goodwill or other thrift stores. My best friend bought all 7 books in the chronicles of Narnia for $7. Do you remember those Harry Potter books that I mentioned earlier? Well, most of them came from flea markets and yard sales. I found a lot the hardcover books in pretty good conditions for 1-2 dollars a piece. I could make a list of the books I've bought from Flea Markets and Yard Sales that have become some of my favorite books. I think that these are easily one of the best options when it comes to getting books cheap. This has been a method that has worked for me over the years, and I still always check out the books every time I stop at one. Where do you buy cheap books?